Rosagold is an attractive, red-skinned table potato with excellent skin finish and good resistance to common scab and virus. 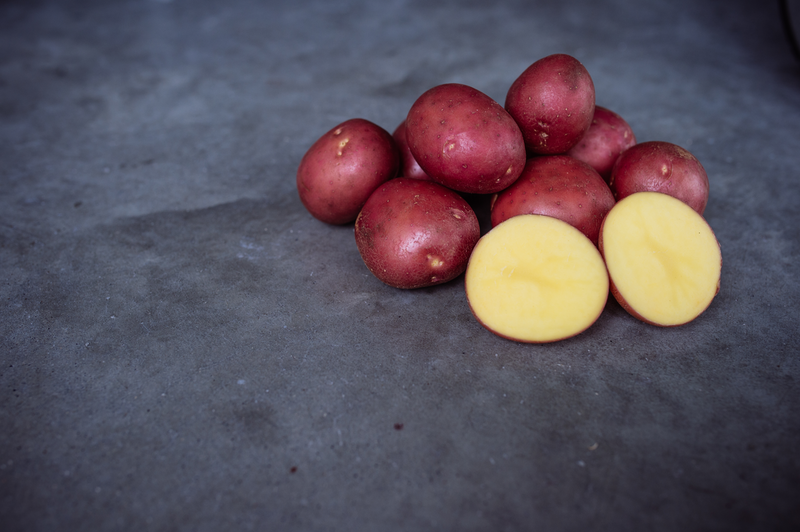 This high-yielding, yellow-fleshed variety produces plenty of round-oval tubers of uniform shape and is well-suited for use as either a table variety or home-cut fries. Rosagold has good dormancy characteristics which makes this variety suitable for long term storage at a temperature of 5ÂºC. Rosagold is relatively susceptible to late blight and tuber blight. Resistance to common scab, virus Yntn and virus Yn is good. Rosagold is resistant to PCN Ro1 and Ro4.